ROCHESTER, N.Y. — Christopher Nolan shotInterstellar on Kodak-made film. Steven Spielberg did likewise for Lincoln. Quentin Tarantino’s Django Unchained and his upcoming Hateful Eight both use Kodak film. But the future of Kodak’s once-mighty movie film business might lie not in big names and big productions but among the ranks of small, indie films and filmmakers. Eastman Kodak Co. earlier this year launched in the United Kingdom its Kodak Independent Production Package — essentially a movie-making kit that includes a camera and film as well as processing and telecine services for transferring the film to video. And it plans to expand the Production Package later this year to the United States. During the Sundance and Slamdance film festivals held in January in Utah, Kodak was there handing out awards to filmmakers. Welcome to what Kodak hopes is the third act of the story of its film-making business, wherein after flying high and going through its precipitous fall, Kodak experiences somewhat of a comeback — or at least a leveling off. Motion picture film long has been big business for Rochester-based Kodak. Its transparent roll of film, put on the market in 1889, made possible Thomas Edison’s motion picture camera two years later. But 100-plus years hence, the same digital technology that crushed Kodak’s photographic film business also has chewed up much of its entertainment imaging work. George Lucas’ Star Wars Episode I: The Phantom Menace was shot both on film and with high-definition digital cameras. And when it came out in 1999, it was the first widely released feature film to be shown digitally. 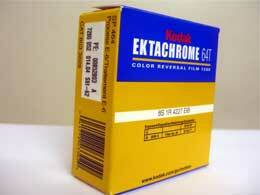 That marked the beginning of hard times for Kodak’s film manufacturing business. In 2014, the company turned out roughly 450 million linear feet of film for producing and showing motion pictures. That’s roughly 1/28th of the motion picture film the company produced in 2006. For the first nine months of 2014, what the company calls its “mature businesses” — a catch-all for everything from motion picture films to the inkjet cartridges it still makes for its discontinued line of desktop printers — represented $259 million in sales, down roughly 30 percent from what the company did in the first nine months of 2013. While consumer inkjet “has done modestly better than we expected … film has done modestly worse than we’ve expected,” CEO Jeff Clarke told Wall Street analysts. The company’s year-end 2014 numbers are scheduled to be released Monday. All that came atop Kodak’s 20-month Chapter 11 bankruptcy that wrapped up in September 2013.